Ships today if you order in the next 2 hours 26 minutes. The human body requires a number of vitamins, minerals, and other nutrients to stay functioning as a well-oiled machine. If you've been looking for an all-in-one way to get needed minerals and amino acids, Solaray offers a great supplement option. 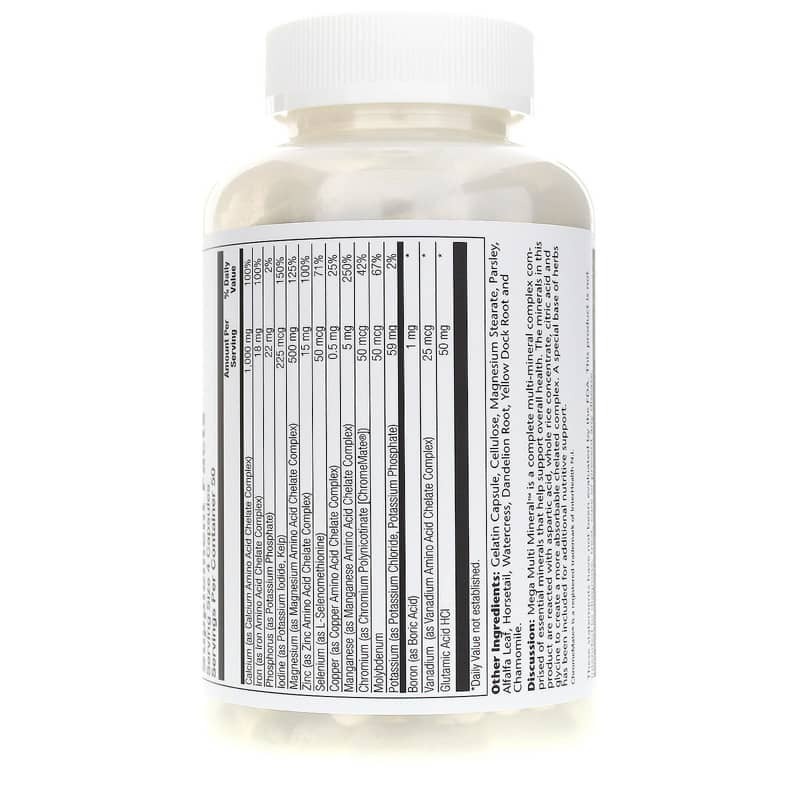 Mega Multi Mineral is a natural dietary supplement that contains a broad spectrum of minerals, trace minerals, and chelated amino acids to help keep you at optimal health. 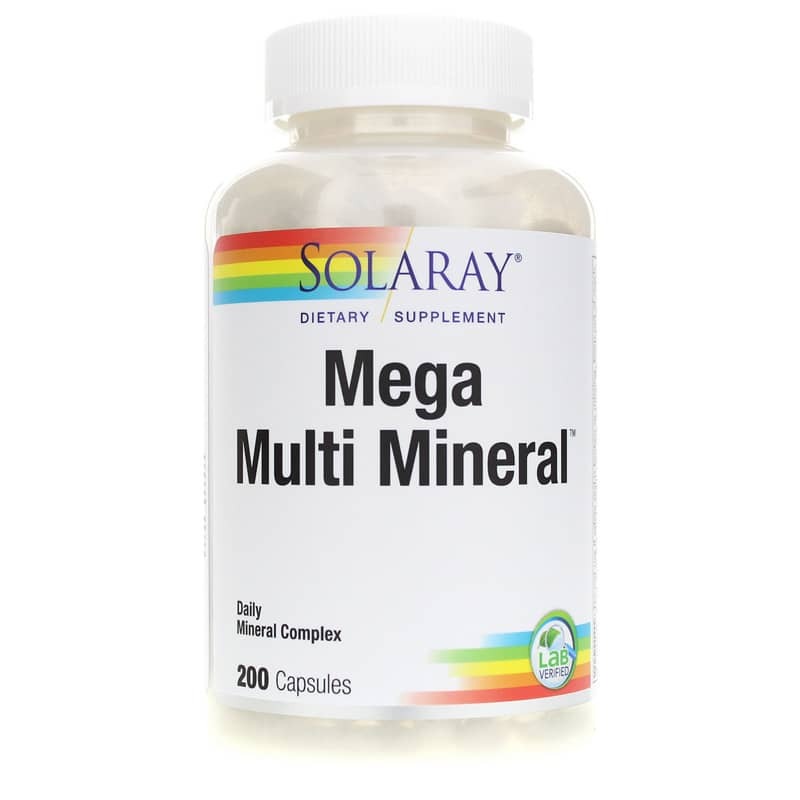 Support your health with four capsules of Mega Multi Minerals from Solaray every day. Give it a try today, and stay on the all-natural pathway toward optimal health and an increased sense of wellness. Order yours now! Other Ingredients: Gelatin Capsule, Cellulose, Magnesium Stearate, Parsley, Alfalfa Leaf, Horsetail, Watercress, Dandelion Root, Yellow Dock Root, Chamomile. Adults: Use only as directed. Take 4 capsules daily with a meal or glass of water. Store in a cool, dry place. Keep your licensed healthcare practitioner informed when using this product. Accidental overdose of iron containing products is a leading cause of fatal poisoning in children under 6. Keep this product out of the reach of children. In case of accidental overdose, call a doctor or poison control center immediately. I ordered a Mega Mineral that I have been taking for years from another company, that I have been ordering through for years, in July and in December, I still didn't have my order. 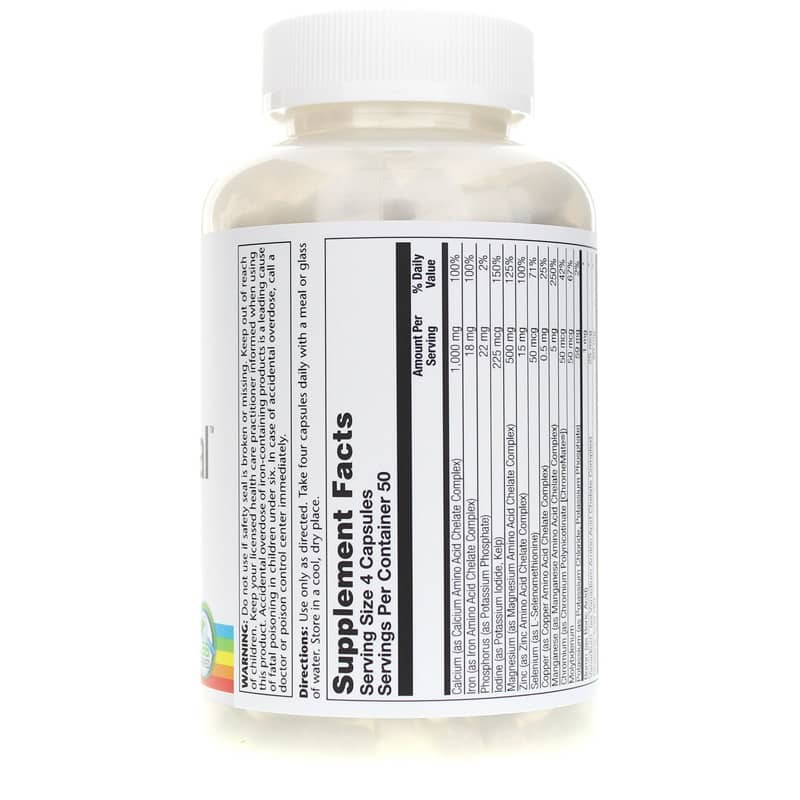 I ordered the Mega Minerals from Natural Healthy Concepts and received them within 5 days. The Mega Multi Minerals seem to be supplying me (my body) with needed amino acids and other mineral. I feel healthier taking them.